Sadly, Google is one of the most powerful institutions in the world. It’s now the filter through which we view the vast majority of our information and it has its tentacles in everything. 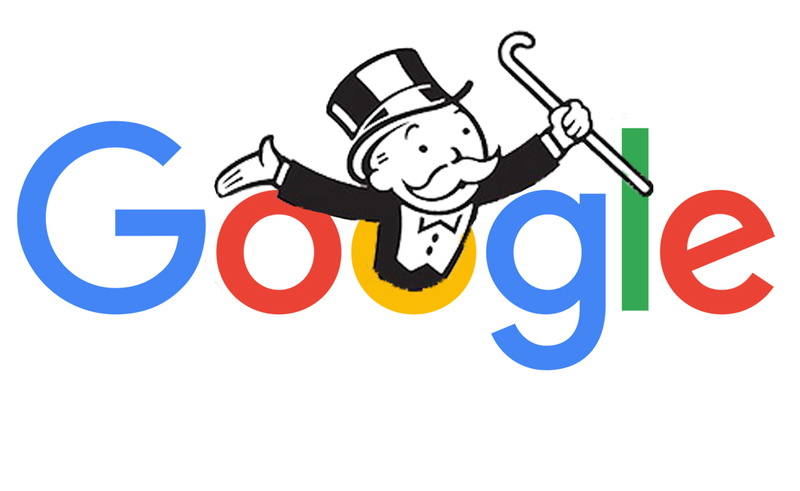 The recent actions of this monopoly are troubling, but like it or not, the government probably won’t do anything about Google soon. So you have to learn how to navigate it for the sake of your livelihood. A lot of people either don’t know a thing about SEO (search engine optimization) or think that spamming keywords everywhere is the way you go about it. There’s no better way for your site to get penalized by Google and as such, basically erased from reality, than doing that. The ugly secret is that most of SEO is now based around content. Point being – you need to create content that’s good enough for people to want to link to and share on social media. To an extent, this is unteachable, although you can certainly find ways of improving your ideas and how you put them out there. There are, however, certain tricks and ways of doing things that help you to rank better, and since most people don’t use them, you’ll have more of a leg up if you do. That’s why one of my ten books to read this year was SEO Step by Step, by Caimin Jones. I read this some time ago, but wanted to see if I would get any results using it before reviewing it. As I said then, the SEO field is full of “experts” that don’t know anything, so you have to be careful when buying a product related to that topic. But SEO Step by Step was cheap at less than $10, so it was worth a shot. As for my verdict? after a few months of experimenting with the advice given in the book, I can say that the amount of traffic I get from search engines has increased, as has the number of posts that rank on the first page of a Google search. It hasn’t exploded, but it has increased. I’ll now relay some things you should be doing but might not be doing right now, as told in SEO Step by Step. A lot of people try to create clever titles for their posts. I did when I first started this blog. The problem is that your clever titles aren’t what people search for, so there’s no reason for you to rank well in anything even though your topic might be related to what people seek out. Your title is the most important component of SEO. It’s the biggest signal to Google what your entire post is about. That means your title first needs to reflect the content of your post almost perfectly. In this regard “how to” posts never fail to rank relatively well. “Product: review” posts also rank pretty well. That’s because those phrases are what the lion’s share of people are actually searching for. Other than those phrases, one tried and true method of ranking well is playing around with the words that already get a lot of search volume. To do this you will need a keyword tracker to find out how many searches each phrase gets each day. The one I use is the keyword tool from SEOBook. It’s structured better than Google’s and you can easily see what phrases get the most daily searches related to your topic. Though, sometimes you may not want to choose words surrounding the phrase that gets the most daily searches because it could be hard to rank well. The best way to find what phrase to use is to first search Google for your general topic. If there’s less than 1,000,000 overall results, you have a strong chance of ranking on the first page, so it might be wise to structure a title around the most searched for phrase. If your topic is over 10,000,000 results in volume, it’s probably wiser to structure your title around a phrase with less daily searches to have a shot at getting on the first page, though even if you’re on the second page for an immensely searched phrase, you can still pull in a good number of visitors a month related to that search. SEO Step by Step goes into far more detail on the niceties of choosing a phrase to title your post. More thought has to go into it than you think, even if your title is simple, so it’s best to read the chapter on this. Don’t underestimate the amount of traffic you can bring in through a Google image search. Some of my images rank higher on the image search than the post does on the main search. Put a descriptive alt text into the image and/or a descriptive caption that gives Google a better idea of what it is (and how it relates to your title). Have related sentences near the top and/or bottom of your image in your content. SEO Step by Step goes into more detail about how to do these things in the best way to rank high in a Google search. This is the most important part of modern SEO. It’s also not something you can do entirely on your own. Some ways you might want to go about encouraging it are explained in SEO Step by Step, though. You can contact other content creators who have topics related to yours and ask them to link to you, preferably if you’ve given them a link first. This has happened to me several times. Most times, people will link you if you ask nicely and offer something in return (reciprocity), as I did to the people that contacted me. You can remind people to share your content if they like it with well-placed social sharing buttons. Simply by bringing it to their attention, it can have a dramatic effect. And there’s more things you can do, as well as more things in general. Unfortunately, Google can sometimes be fickle, and posts that might have ranked well in the past may no longer rank well in the months and years to come. So, I can’t say using any of this is guaranteed to make your site massively more popular. But by doing these things and applying the many more tips in this book, you’ll have a good way of pulling in more search visitors, and that’s ultimately what you want with your SEO anyway. At $8.99, I’d say it’s a steal.